Craving for Pizza today? 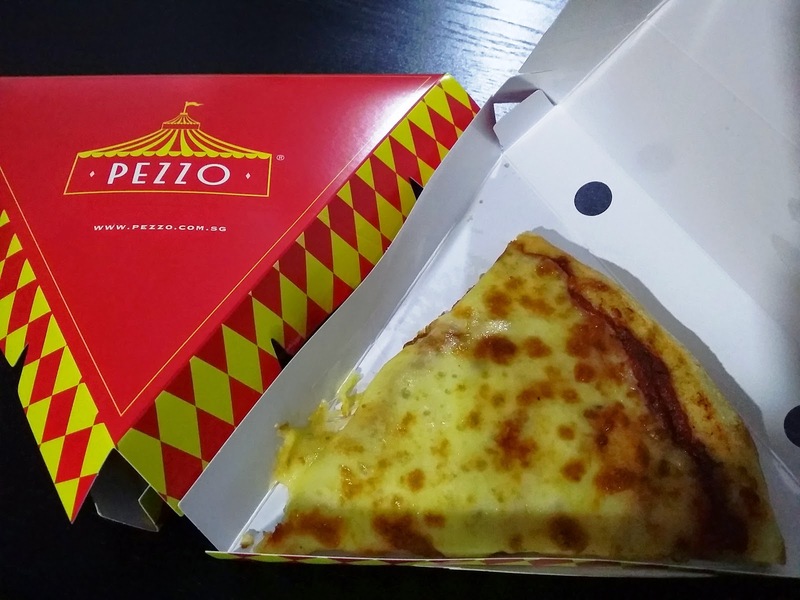 Try Pezzo Pizza that available for one slice of pizza and packed in a nice paper box for you to take away. Price range from S$4.90 & above. Most important, the pizza tasted delicious and price is affordable.